For black iPad mini 1/2 touch glass screen replace. High quality iPad mini touch screen digitizer glass. Use for repairing of defective screen. Use to repair dead pixels, damaged, cracked screen. Apparent panel with transparent screen protection film. 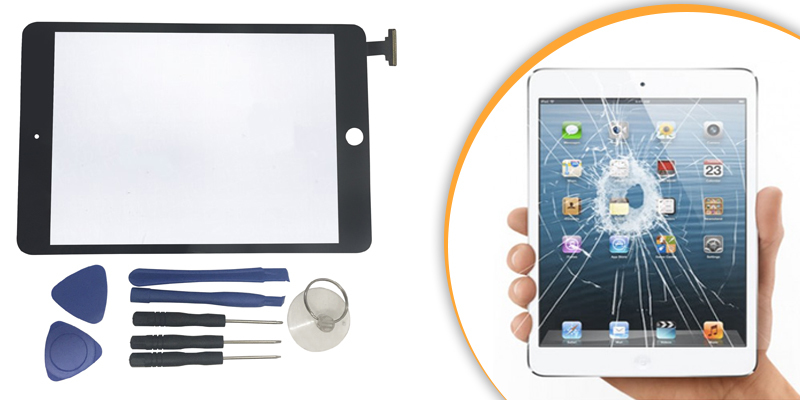 Ideal for replacing your broken, damaged, cracked or unusable touch screen digitizer glass. No magnets, no smart cover. Material Name: Glass + LCD digitizer. 1x Black iPad mini touch screen. 1x 7pcs TOOLS SET + ADHESIVE with Brown Box Packing.